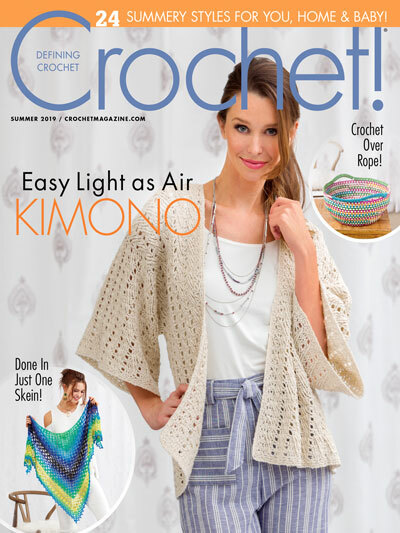 A few weeks ago I shared a free crochet pattern for the It’s Great to Be a Grenadier Slanted Shell Afghan. In the makes of the second afghan that I made to donate to my old high school, I stopped to work up this I Love This Soft Ripple Baby Blanket. 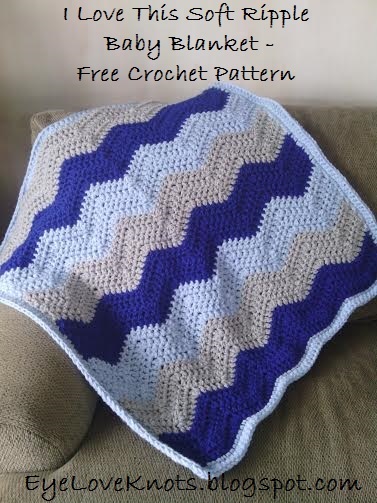 This blanket would be a great baby shower gift, or as part of your baby nursery. The size makes it great for changing baby’s diaper, tummy time and cuddling. You may opt to purchase two skeins of the same color and hold the strands both from the center pull, but I did it the hard way and held the strands from either end of the skein. You can see a photo of this in the Pattern Notes section. I worked up this blanket in about five hours, including the weaving of my ends. You have three options for the tails of the color change: fasten off and weave in ends, fasten off and work over tails or carry yarn up the side and work over the tails. I chose to fasten off and weave in my ends. Yes, it is quite a bit of time dedicated to weaving in ends (about 30) but I don’t like carrying my yarn up the side because of the tangling that usually happens within the skeins from turning at the end of each round, plus you don’t know what the yarn is going to look like when you try to crochet over as one may be too dark or light and show through your stitches, and I don’t like to work over my tails because it creates a puckering on that one side, and makes the blanket more rigid on that side. Working over one tail such as working over the beginning tail when working the border on the opposite side of the foundation chain is nothing and can be done care free, but when I get into several ends as on the one side of the blanket, I weave. It’s also more secure. I worked my final join as an invisible one. You can view a photo tutorial of this in my Newborn Twin Chunky Beanie post. R2 – 4: Chain 2, turn. DC in the 1st DC and the next 4 DC’s, (dc3tog, DC in the next 4 DC’s, 3 DC in the next DC, DC in the next 4 DC’s) 4 times, dc3tog, DC in the next 4 DC’s, 2 DC in the last DC. Change to Light Gray. R5 – 8: In Light Gray, Chain 2 and turn. DC in the 1st DC and the next 4 DC’s, (dc3tog, DC in the next 4 DC’s, 3 DC in the next DC, DC in the next 4 DC’s) 4 times, dc3tog, DC in the next 4 DC’s, 2 DC in the last DC. Change to Soft Blue. R9 – 12: In Soft Blue, Chain 2 and turn. DC in the 1st DC and the next 4 DC’s, (dc3tog, DC in the next 4 DC’s, 3 DC in the next DC, DC in the next 4 DC’s) 4 times, dc3tog, DC in the next 4 DC’s, 2 DC in the last DC. Change to Royal. R13 – 16: In Royal, Chain 2 and turn. DC in the 1st DC and the next 4 DC’s, (dc3tog, DC in the next 4 DC’s, 3 DC in the next DC, DC in the next 4 DC’s) 4 times, dc3tog, DC in the next 4 DC’s, 2 DC in the last DC. Change to Light Gray. R17 – 20: In Light Gray, Chain 2 and turn. DC in the 1st DC and the next 4 DC’s, (dc3tog, DC in the next 4 DC’s, 3 DC in the next DC, DC in the next 4 DC’s) 4 times, dc3tog, DC in the next 4 DC’s, 2 DC in the last DC. Change to Soft Blue. R21 – 24: In Soft Blue, Chain 2 and turn. DC in the 1st DC and the next 4 DC’s, (dc3tog, DC in the next 4 DC’s, 3 DC in the next DC, DC in the next 4 DC’s) 4 times, dc3tog, DC in the next 4 DC’s, 2 DC in the last DC. Change to Royal. R25 – 28: In Royal, Chain 2 and turn. DC in the 1st DC and the next 4 DC’s, (dc3tog, DC in the next 4 DC’s, 3 DC in the next DC, DC in the next 4 DC’s) 4 times, dc3tog, DC in the next 4 DC’s, 2 DC in the last DC. Change to Light Gray. R29 – 32: In Light Gray, Chain 2 and turn. DC in the 1st DC and the next 4 DC’s, (dc3tog, DC in the next 4 DC’s, 3 DC in the next DC, DC in the next 4 DC’s) 4 times, dc3tog, DC in the next 4 DC’s, 2 DC in the last DC. Change to Soft Blue for Border. R1: In Soft Blue, Chain 1 and turn. Work 2 SC in the 1st DC, SC in the next 59 DC’s, 3 SC in the next DC – corner – evenly SC down the side in the next 62 stitches, 3 SC in the next stitch – corner – working on the opposite side of the foundation chain, SC in the next 59 stitches, 3 SC in the next stitch – corner, evenly SC up the side in the next 62 stitches, 1 SC in the last/first stitch. Join to the 1st SC. R2: Chain 1, DO NOT TURN. Work 2 HDC in the 1st SC, HDC in the next 61 SC’s, 3 HDC in the next SC – corner – HDC in the next 64 stitches, 3 HDC in the next SC – corner – HDC in the next 61 SC’s, 3 HDC in the next SC – corner – HDC in the next 64 stitches, 1 SC in the last/first stitch. Join to the 1st HDC. 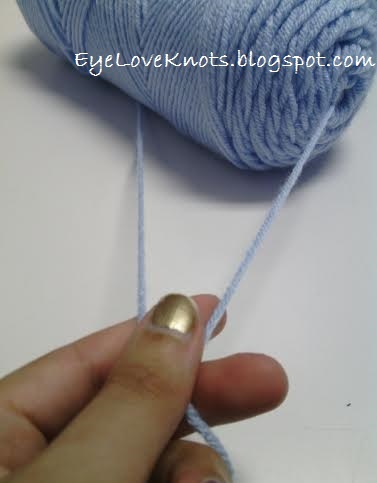 Fasten Off and Weave in Ends – I worked my last join as an invisible join. See Pattern Notes for link to photo tutorial. Please feel free to make and sell your own Baby Ripple Blanket, but please DO NOT claim this pattern as your own nor should you sell my pattern, and DO NOT re-publish my photos as your own. DO NOT copy and paste my pattern anywhere, link to it instead. *If you would like a PDF version of this post, you may get one through my Etsy shop for a small fee. This fee is to compensate for the view/s lost once you no longer need to return to the blog for the information, as you will have your own copy. Plus! It helps fund supplies for new projects to share with you! 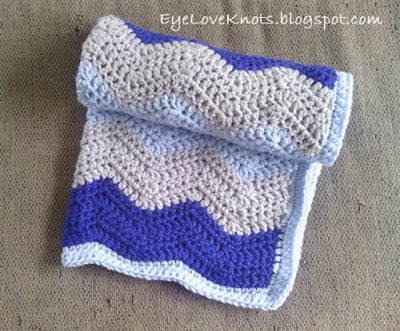 Shop EyeLoveKnots – I Love This Soft Ripple Baby Blanket. *I am now on Ravelry! 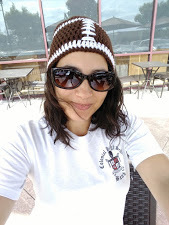 Check out my EyeLoveKnots Ravelry Shop for all EyeLoveKnots Free Crochet Patterns in one place, add to your que and add photos of your WIPS and finished projects there too! Don’t Crochet but Interested in Purchasing a Ripple Baby Blanket? I will slowly be adding new color combinations of these Ripple Baby Blankets, and in different sizes to my EyeLoveKnots Etsy shop. Feel free to send me a message with a custom request. Color Options: I Love This Yarn (acrylic), With Love (acrylic). 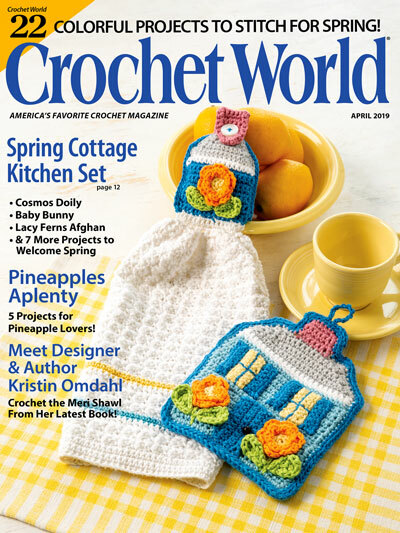 Yarn Fanatic Party #39 – Chalk Full of Yarny Inspiration!